After disconnection from the electrical control box, disassembly was pretty quick. 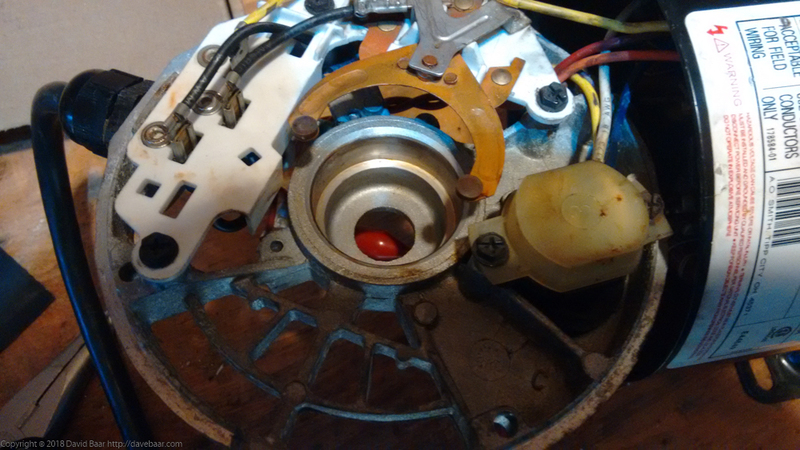 The only tools needed were a 1/4″ socket + driver, and a large Philips screwdriver. 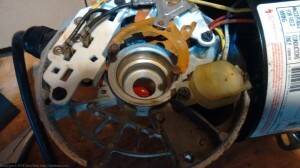 The back plastic cover is removed by taking out one central machine screw with 1/4 head, revealing the starter capacitor and other parts. The front cover over the pump impeller is removed by taking out 4 Philips-head screws. 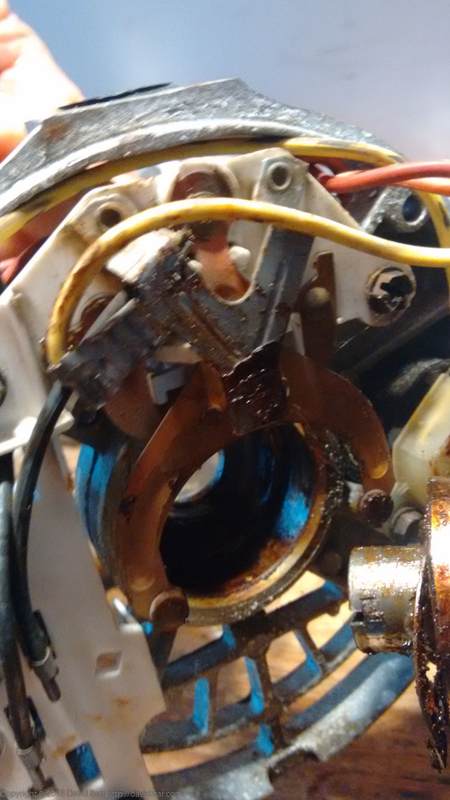 In this case, initial tests of rotating the pump motor by hand showed that the motor bearings had seized up. 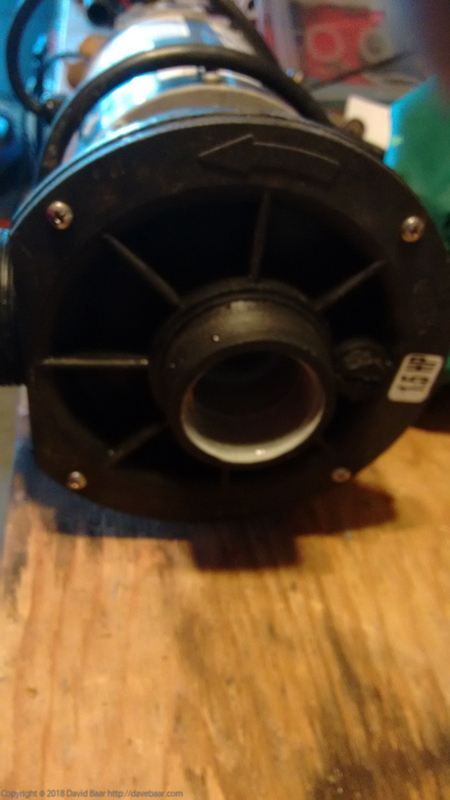 I fixed this issue by rotating the pump impeller forcefully by hand, while holding the motor casing. That freed the bearings somewhat, but rotation was still difficult. Further higher speed rotation using a cordless drill coupled to the impeller with a socket for about 60 seconds produced smooth rotation. However, even after freeing the seized motor shaft, the motor would not start. Substitution of a known good starter capacitor also did not fix the problem. 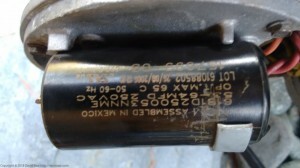 Next suspect was the contacts for the starter capacitor switching circuit. 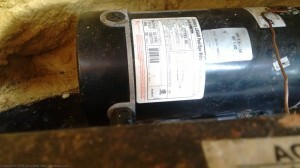 Those can be accessed by taking out 4 long bolts surrounding the motor shaft, in the same plane as the starter capacitor. Resistance tests indeed showed those contacts to be open circuit in startup state, when they should be closed. After cleaning excess grease off those contacts, plus abrasive surfact cleaning with fine sandpaper and minor bending of the contact metal, normal closed circuit startup state was restored. 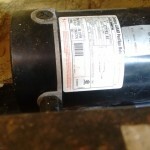 Finally, after improving a motor ground connection, normal pump motor operation was restored -success. 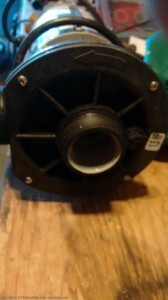 I have forwarded this entry to a hot tub friend- I should get him to post up his solution to lowering humidity in the area housing said motor.